He finished Fine Arts degree at the University of the Philippines in 1972. In 1977, he won First prize at the AAP. In 1978, the British Council awarded him a travel and study grant at the West Surrey College of Art in England. He was CCP thirteen Artists Awardee in 1976. He has held over thirty solo exhibitions, notably at the Luz Gallery, Finale Art File, the Drawing Room, and the Vargas Museum. In 2000 he had a solo show at the Juan Luna gallery at the Philippine Embassy in Berlin and in 2005 at the Expansum, Galerie Etienne de Causans in Paris. 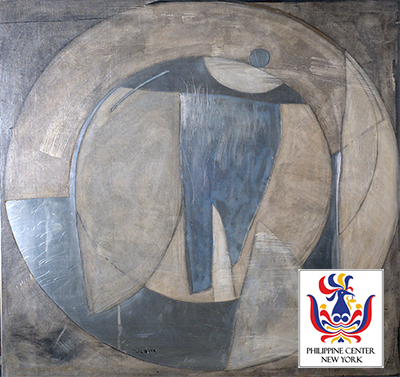 He is included in the books “One Hundred Years of Philippine Painting (1984) by Davin Kamanski, and Southeast Asian Art Today (1996) by Joyce Van fenema.